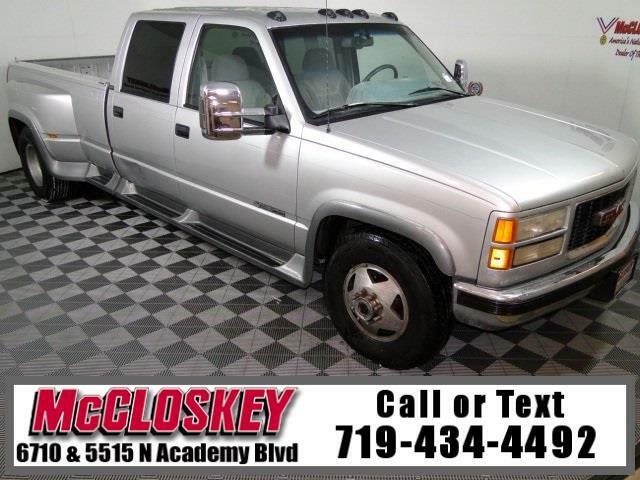 Lowest miles 1996 Chevrolet C3500 Cheyenne Crew Cab DRW in 500 miles! With 7.4L V8 Engine, AM/ FM Radio, Air Conditioner, Dual Rear Wheels, Cruise Control, and Much More! The Chevrolet C3500 is an impressive truck that is happy with a life as a workhorse. But has all the creature comforts to have you thinking your sitting in a luxury truck of the time! The 7.4L V8 engine is a stout hauling and towing companion! Message: Thought you might be interested in this 1996 Chevrolet C/K 3500.